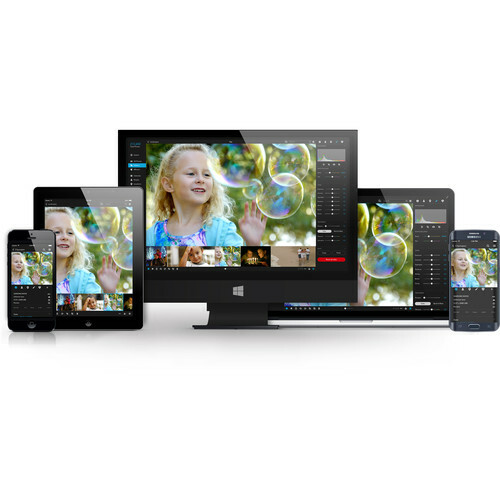 Get organized and keep your library of up to 100,000 photographs protected across 5 devices by using Mylio Photo Organization Software. This 1-year subscription is available here as a download and offers users the Standard plan which adds Lightroom integration and RAW file support to the software. With a simplified import process and comprehensive organization and file management tools, photographers will be able to easily take control of their extensive collection of digital images. Users will also be able to edit their photos, filter and tag them for later reference, and even save and sync both on and offline. Additionally, Mylio Cloud is available for yet another method of protecting your precious images.